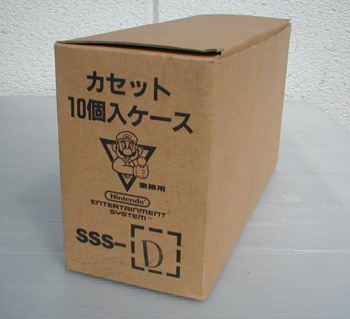 In 1986, Nintendo Co., Ltd. and JTB Traveland Inc. began distributing the FamicomBox (SSS-CDS) to stores across Japan. 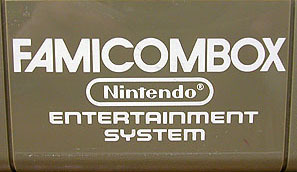 The FamicomBox allowed gamers to test out up to 15 different Famicom games while gaining an opinion of the overall quality of 8-bit Famicom video gaming, a relatively new gaming system at the time. 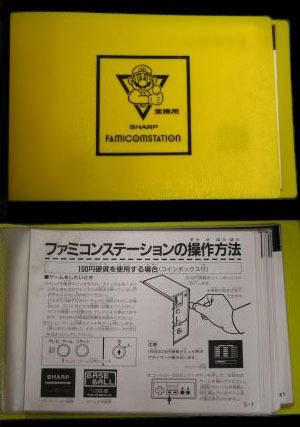 Of course, the FamicomBox was not your ordinary Famicom, as you can see from the pictures below. It was a heavy silver metal box that displayed the game titles in little windows at the front of the system. 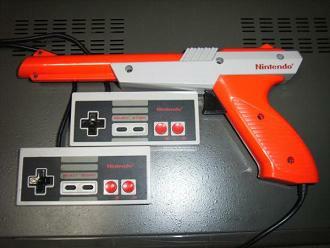 There were three controllers hooked up to it: two standard NES controllers and the standard orange or gray NES Zapper light gun. 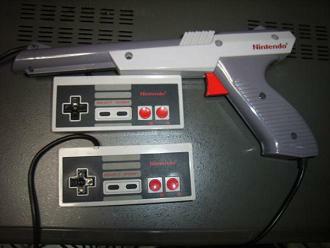 Presumably, there was something cooler about using NES controllers, instead of the standard Famicom controllers. 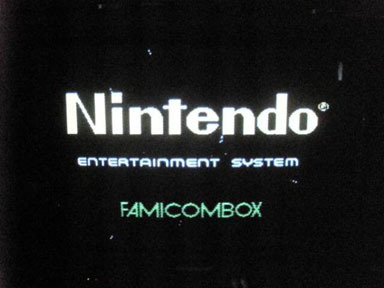 There was no effort on the part of Nintendo to make the FamicomBox appear anything like the Famicom. 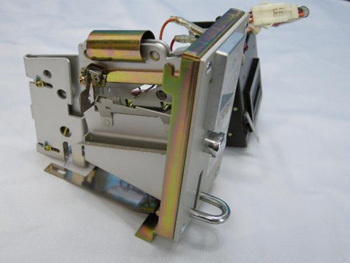 All three controllers were “holstered” on the side of the system. 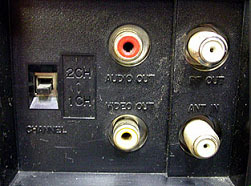 The cords for all three were connected internally through three holes at the front-bottom-left of the system. 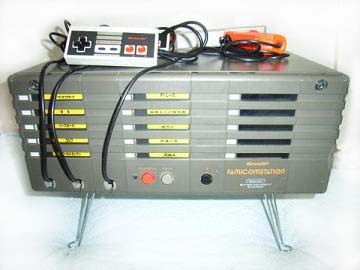 The Famicombox had slots for up to 15 games, most are only found with 10. 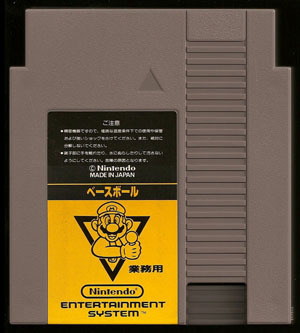 These games come in cartridges much like the standard NES cartridge. 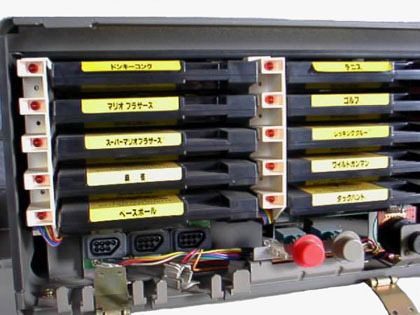 The games were all the Japanese version, yet the number of pins on the cartridges is 72. 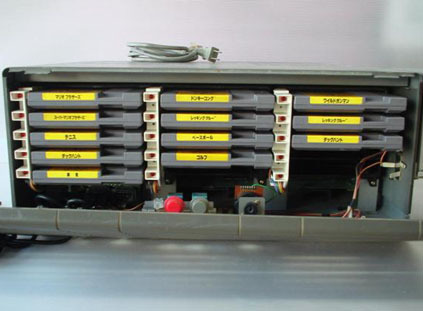 This mean either the games are on NES boards or the games are 60 pins but with a 72-pins converter. FamicomBox games were black. Here’s a list of some of the games known to have come with the FamicomBox: 1943; Baseball; Bomber Man; Devil World; Donkey Kong; Donkey Kong Jr.; Duck Hunt; Excite Bike; F1 Race; Fighting Golf; Golf; Gradius; Hogan’s Alley; Ice Climbers; Ice Hockey; Knight Rider; Makaimura: Ghosts ‘n Goblins; McKids; Mah-Jong; Mario Bros.; Mike Tyson’s Punch-Out!! ; Ninja Ryukenden; Operation Wolf (? ); Punch-Out!! ; Rock Man; Rygar; Senjou no Ookami; Soccer League Winner’s Cup; Super Chinese 2; Super Mario Bros; Tag Team Pro Wrestling; Takahashi Meijin no Boukenjima; Tennis; Twin Bee; Volleyball, Wild Gunman; Wrecking Crew. 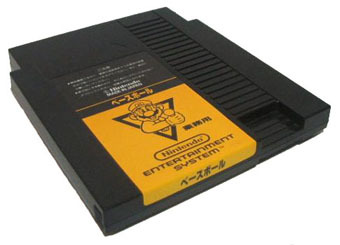 Playing Famicom games on the FamicomBox can be a problem. It was made to play only the games specifically released for it, most of which are in the list above. 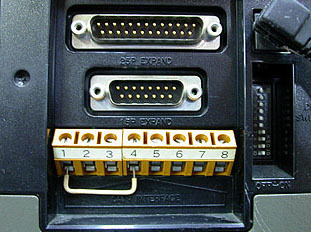 The reasons for this are: 1) The FamicomBox will not run mmc3 games, along with a lot of others, so no Super Mario USA or Super Mario Bros. 3, just for starters; 2) Not only is there a special lockout chip, but the lockout chip connects to different pins on a FamicomBox cartridge’s connector than a regular cart; 3) The lockout chips in the system and the games have to “talk” before the system will load the game into its menu. 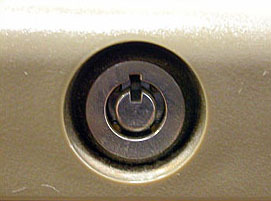 It’s unlikely that you can just cut the pins, as you can with the pin in a front-loading NES. 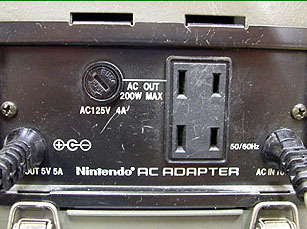 The FamicomBox was not the only multi-game system used in stores. 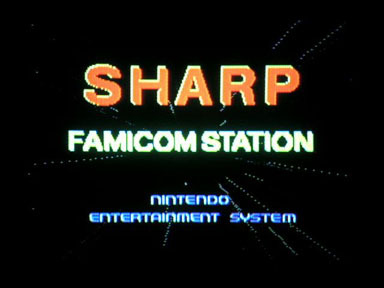 Sharp, which is best known for having sold the Twin Famicom, also made available to stores what it called the FamicomStation. 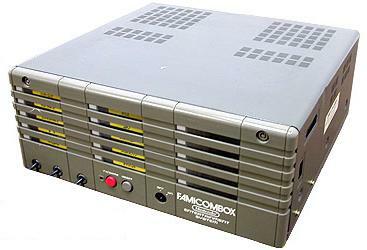 The FamicomStation was exactly the same as the FamicomBox; however, the FamicomStation stood on four metal legs. FamicomStation games were gray. Here’s a list of some of the games known to have come with the FamicomStation: 1943; Baseball; Donkey Kong; Duck Hunt; F1 Race; Golf; Kame no Ongaeshi: Urashima Densetsu; Mah-Jong; Mario Bros.; Night Raider; Senjou no Ookami; Soccer League Winner’s Cup; Super Chinese 2; Super Mario Bros; Tag Team Pro Wrestling; Takahashi Meijin no Boukenjima; Tennis; Wild Gunman; Wrecking Crew. 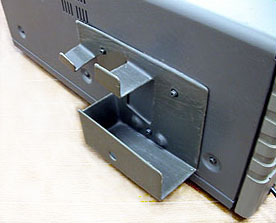 Some of the FamicomBoxes and FamicomStations included an attached coin box, which meant gamers had to pay to play. 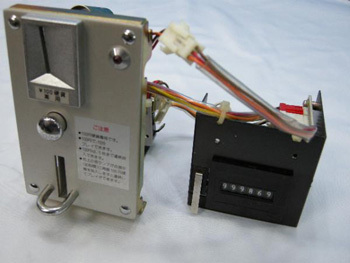 The coin box required a 100 yen coin to play and could store up to approximately 18,000 yen of play time. 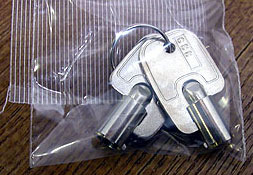 Both systems came with keys to unlock the face so that games could be removed or inserted. There was also a key that turned on and off the systems. 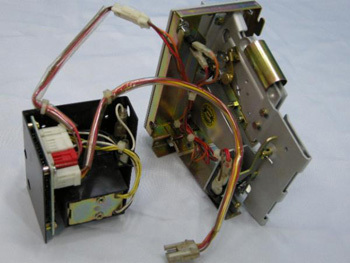 Unlike the Famicom, these systems did not only connect to televisions via RF, but also had AV connections at the back. Finally, the load screens for the FamicomBox and FamicomStation were very similar. Both tried to give the feeling that you’re traveling through outer space at lighting speed, watching stars pass by. The FamicomBox lets you switch between 15 different games. 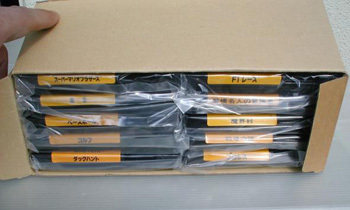 All FamicomBox games had the same label.